ISBN 193416349X. blues, instructional. 9 x 12 inches. 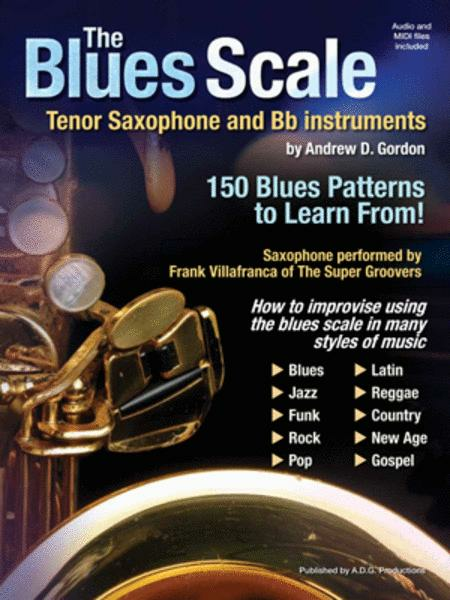 The Blues Scale for Tenor Saxophone and Bb instruements by Andrew D. Gordon is he feels, one of his most important books because of the nature of the blues scale and how it is used to improvise in many styles of contemporary music. The book consists of 20 grooves include styles such as: Jazz, Blues, Funk, Latin, Gospel, Reggae, New Age, Country, Rock, Pop, Acid-Jazz, Calypso. Both the Blues scale and relative minor Blues scale are explained in detail and how they are used either separately or together in the patterns for each style, (the relative minor Blues scale is generally not used in minor keys.) Each of the 20 grooves in this book contains over 150 patterns in total, using notes solely from the blues scale. Each of the 20 grooves utilizes a chord progression that is commonly used for that style of music. The patterns generally start off fairly simply and become more complex as the groove progresses.